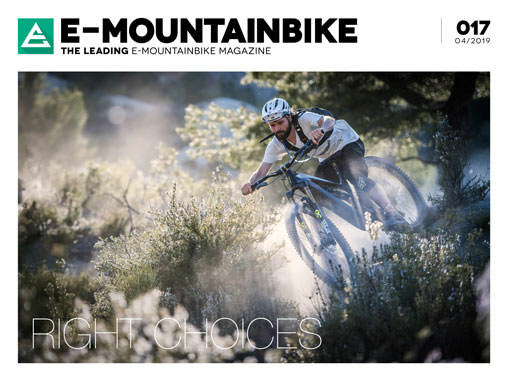 Hardly any other topic in the eMTB world is as hotly debated as the motor. But does it always come down to raw power? Or are the multitude of smaller details just as vital? 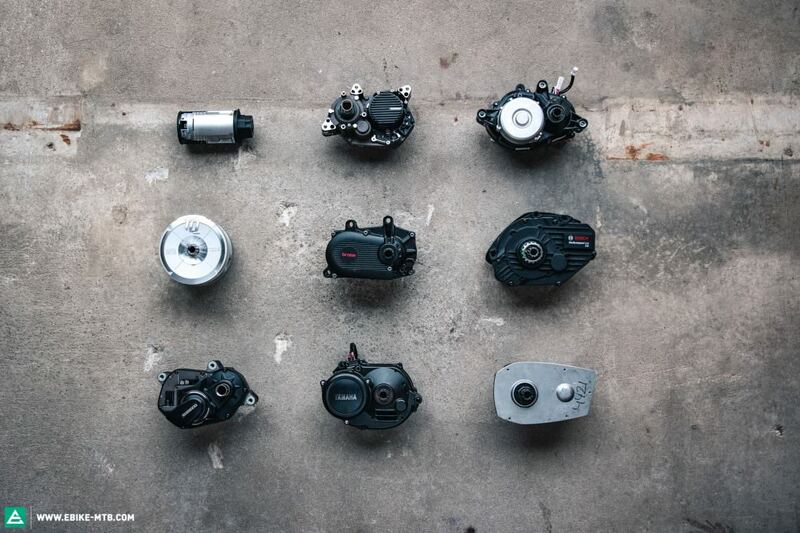 We put nine of the most important motors through their paces and identified one clear winner. 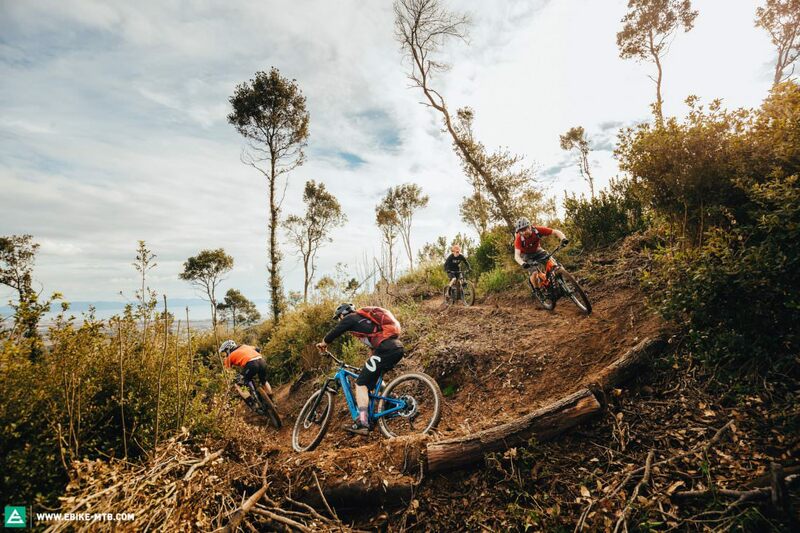 We often describe eMTB motors with abstract performance specifications, but out on the trails these figures won’t necessarily reveal the true character or behaviour of the bike. Instead you should take these numbers as a rough guideline of what to expect from a motor. 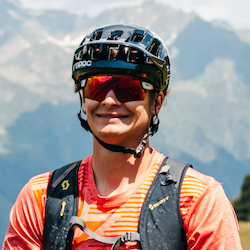 The power of eMTB motors is measured in watts. The average power – also known as nominal power – may not exceed an average of 250 W over a period of 30 minutes – that’s the law! All the motors in this group test meet this standard, but easily can double or even triple their peak values. The torque is given in Newton meters and tells us how strong the motor is. With up to 120 Nm torque, TQ’s motor is by far the most grunt in our group test. The motor is powered by either an internal or external battery, where the first type is usually integrated in the downtube and the second one is attached on top of it. How long the battery will last depends on a combination of its capacity and the “consumption” of the motor. We use Watt-hours (Wh) to describe the capacity of a battery. A fully charged 500 Wh battery will therefore last for 2 hours if the motor draws a constant power of 250 W during this period. All the motors in this group test meet this standard, but easily can double or even triple their peak values. 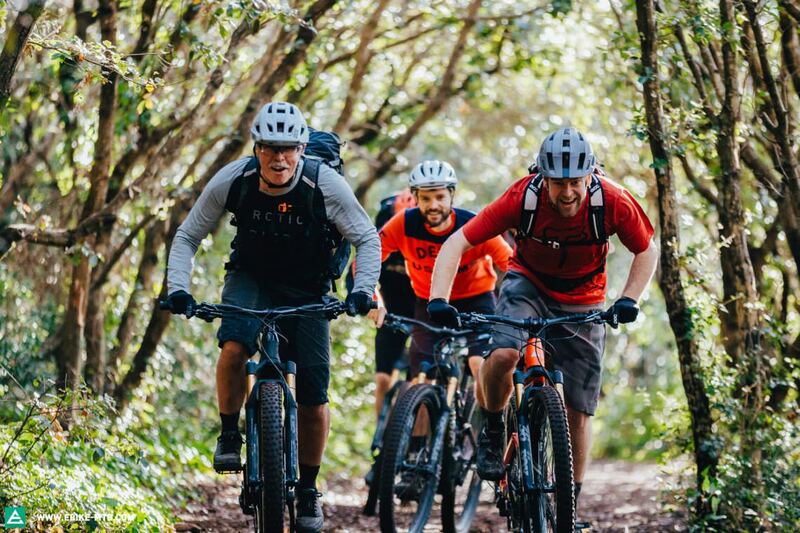 Every eMTB motor offers several support levels. Manufacturers use a percent-scale to define the support level. 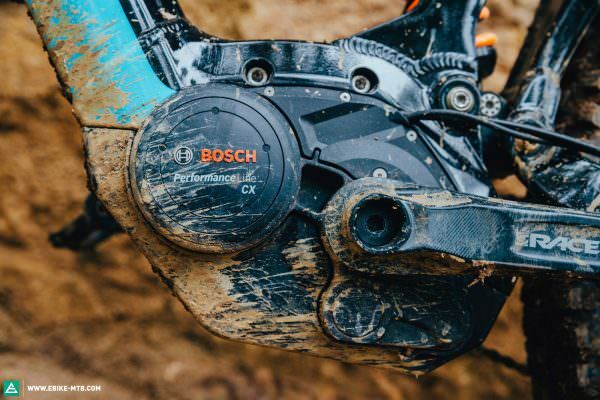 If a motor like the Bosch provides a support of 300 % in the most powerful stage, it means that it triple the power the rider puts in at the pedals. Depending on the motor, the support level can range from 50 % up to over 400 % (or even 500 % in some cases). The more support levels a motor has, the more accurately it can be adapted to a specific riding scenario. This way you can increase the range by changing into the ECO mode or conquer a steep hill riding in the most powerful support level. Most motors feature a progressive mode that adapts its assistance level to your input. 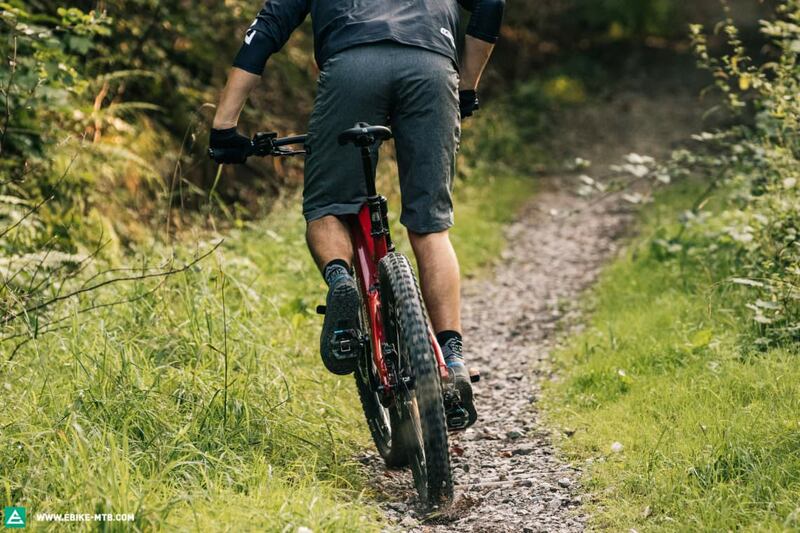 Using a number of built-in sensors, it detects the effort put in at the pedals and adjusts the support level accordingly – the harder you push, the more the motor will help you. This ensures a natural and intuitive riding experience, especially on trails. Such smart support levels make the shifting between individual modes almost superfluous as the motor adapts to most terrain you will encounter. Both the support percentages and manufacturers’ performance specifications must be taken with a pinch of salt. There aren’t any standardised testing procedures, meaning that it’s not alway possible to directly compare the ratings of different motors. The best motor can only be as good as the bike it is attached to. At the same time the motor has a significant influence on the performance of the bike. Compact designs give designers more freedom in the design of the rear-end of the bike. Not only the weight, but also the position of the motor are crucial to the handling of a bike. We use displays and remotes to switch between support levels. There is a vast choice of solutions on the market, from minimalist designs to high-tech colour displays with a multitude of navigation- and app-features. 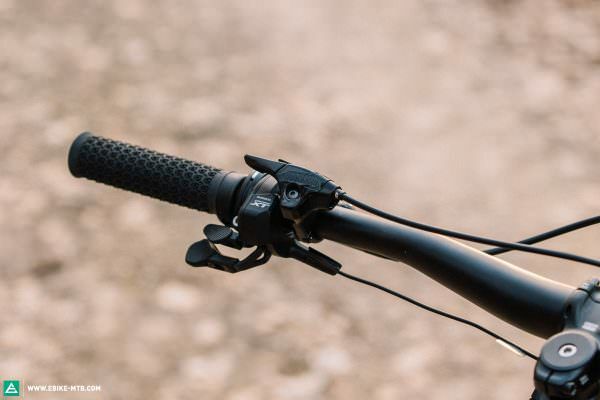 Bosch and Shimano systems require manufacturers to use one of the brands’ in-house solutions, while brands such as TQ and Brose have opened up their systems, allowing bike manufacturers to add on their own displays and control units. Despite the excellent diversity of systems, eMTBers are still faced with three major issues. First off, the remote is often hard to reach or so bulky that the dropper-remote can no longer be activated. Second: the display or remote are often too exposed to impacts and can easily get damaged. And last but not least: strong sunlight affects the readability of the display. In this respect Specialized (Brose) and Shimano offer the best concepts. Why? Because they give you the choice of either going down the minimalistic route and keeping your cockpit tidy, or alternative get the full bells and whistles, information overload package. 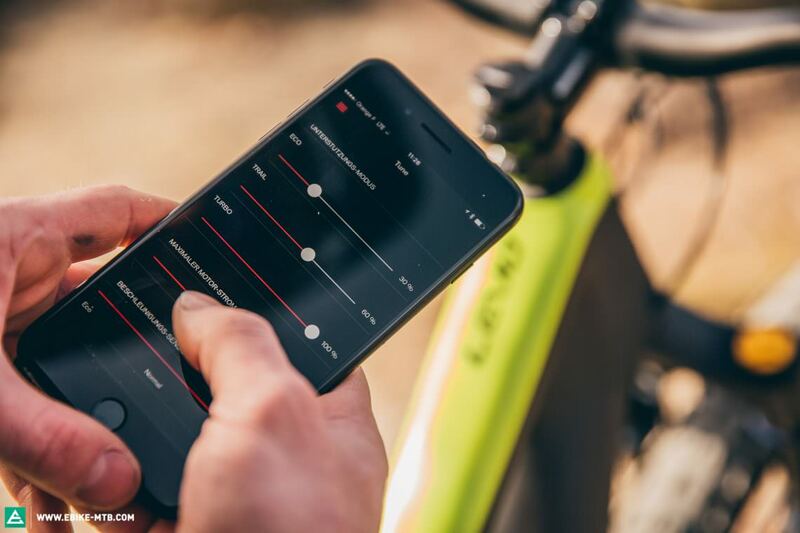 Smartphones have long established themselves as a central tuning, individualization and information tool for electric mountain bike motors. Pretty much all motor-manufacturers are currently offering dedicated apps which allow you to adjust the motor’s characteristics, navigate according to the battery-status and track your activities. But what if you just want to switch on and ride? What if you’re not into techy gimmicks? All motors are programmed with a basic configuration out of the factory and deliver the authentic eMTB experience without having to be tuned. Downsizing isn’t just a trend in the car industry. Sometimes less power translates into more riding fun and larger riding range. 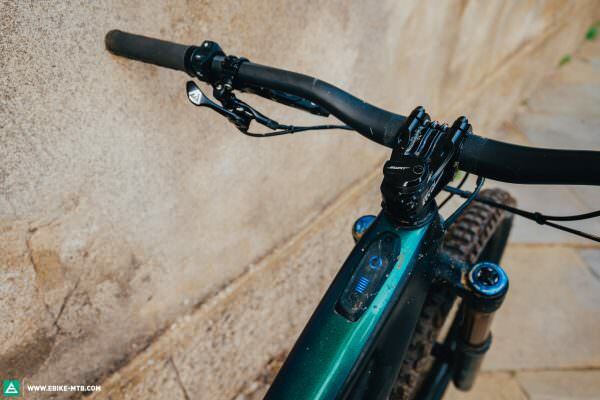 The extremely-compact Fazua motor and the smaller Shimano STEPS E7000 provide “only” 60 Nm of torque, yet they’ll still get you to your destination very naturally, relaxed, but perhaps just a little bit slower. As with cars, the range depends on your riding style. If you’re not using one of the weaker motors in the highest support level to shuttle to the trailhead all day long, you’ll squeeze a lot more out of your battery. Pedalling cadence has a huge impact on the way the motor behaves and the support it provides. Each motor has a specific cadence at which it develops a great deal of power with maximum efficiency. Depending on the design and internal gear ratio, motors operate at their optimal range either at lower or higher cadences. A good motor can cope with cadence fluctuations and provide even support over a wide range, all without running out of power at either very high or very low cadences. A fitting example: Brose’s Drive S Mag provides maximum torque over a wide cadence range and still delivers sufficient power outside its optimal range. The Bosch Performance Line CX also copes remarkably well with cadence fluctuations and pushes forward powerfully. This might sound a little strange, but the noise level of a motor can hugely influence the riding experience. Quiet motors are the most pleasant to ride with and enhance the natural riding experience. But it’s not just the motor that is responsible for the noise. The frame can act as a resonator, amplifying the noise of the motor and gearbox. Only a well thought-out frame design will keep the noise level within acceptable limits, which is why the exact same motor could be very quiet on some frames and rumble like a tractor on others. There’s sand in the gearbox! Battery dead, motor down — and what now? If you exceed the 25 km/h threshold or ride without the motor you’re going to feel some motor resistance. Depending on the design, motors use different gearbox-ratios to adapt the high revs of the electric motor to the chainring. Efficient systems such as FAZUA’s Evation motor, TQ’s Pin Ring gearbox and Brose’s belt-drive keep the pedal resistance to a bare minimum – special freewheel-systems isolate the gearbox from the cranks when the motor is disengaged. On the other hand, Yamaha and Shimano motors create noticeable pedalling resistance as soon as you’re riding without support. Lastly, Bosch motors produce a strong pedalling resistance. The ride-feeling of each motor is determined by both its hardware and firmware tuning. Bosch’s closed system gives manufacturers no room to play with the motor-characteristics, meaning all bikes with this motor will behave roughly the same way. Brose, Yamaha and TQ on the other hand give bike manufacturers plenty of freedom to define motor-characteristics to have the riding-feel and behaviour they want. It’s not just about the battery. Don’t forget the range. Of course big batteries with high capacities provide lots of power and help increase range. But range also depends on the energy-consumption of the motor – it’s not just the size of your fuel tank that matters. The mighty TQ drive with its 120 Nm torque draws a lot more energy than the substantially-smaller Fazua drive — which is pretty much half the power. But just as with cars, your riding style also affects how long the battery will last. In addition there are countless other factors that affect the range: tire pressure, temperature, support level, driver’s weight and terrain are only a few of them. That’s why it’s impossible to set a general rule about range and vertical reach. See: the truth about lab tests! What’s that “natural ride-behaviour” we keep talking about? Power is nothing without control. Powerful motors can be hard to control as they can build up power too abruptly or sometimes even inadvertently. Motors should engage and deliver their power as quickly as possible, but should do so smoothly and without being jerky. 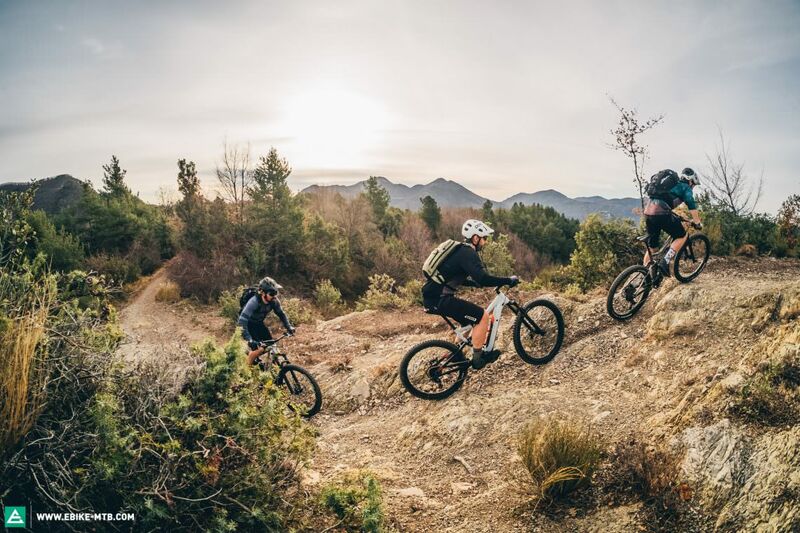 Three key factors are essential in e-biking: the motor’s hardware, the human hardware with all its irregularities and cadence fluctuations and finally, the firmware. The firmware must work as the interface between the motor and the human-factor, interpreting commands from the latter and controlling the former and in turn allowing these to harmonize. Exactly this harmony is what we call “natural ride-behaviour”. The same idea applies to smooth transitions at the 25 km/h threshold. Which motor is the best? If it came down just to the sales figures, the popular Bosch Performance Line CX would be top dog. While a few years back it was still considered the benchmark, in a direct comparison with current top models it can no longer hide its age. The Bosch CX might still be going strong but the competition is gradually catching up and outperforming it in all its parameters. It’s time for a new generation, Bosch! According to rumours a new motor is on its way and will be launched in summer 2019! 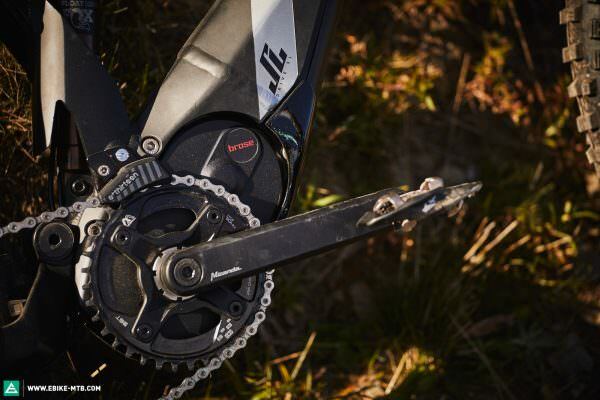 Both Shimano motors convinced us with intuitive operation, compact design and great trail performance. 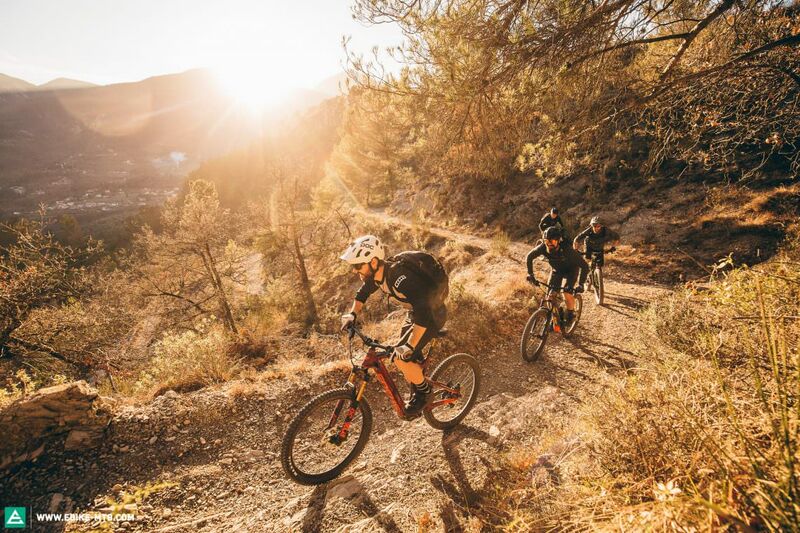 The big surprise: Despite providing less power, the “weaker” STEPS E7000 is more fun on the trail than its bigger brother and also provides a more natural ride feel. Only when low cadences, steep climbs and heavy riders come into the picture, does the more powerful STEPS E8000 stands clearly ahead. If we’re talking about all-out power, the TQ HPR 120S is in a different league and literally smokes the competition. But just like the Yamaha PW-X it struggles to deliver the natural riding experience we’re so fond of. On the trail both motors take some time to get used to, but in return they’re easy to control once you do. A top motor should be strong as an ox, yet integrate seamlessly into the riding experience. FAZUA and Panasonic are unequivocally the underdogs in the test field. The super compact FAZUA Evation can be entirely removed from the frame and lets you ride your bike like a conventional mountain bike. Not only is this idea ingenious, but it’s also very well implemented. Unfortunately a substantial lack of power gets in the way of the true eMTB experience. The Panasonic GX 0 features the clever automatic-mode which accentuates the natural ride-feeling of the lightweight motor. However, when it comes to sheer power, the Fazua has to give way to the top motors in our test. Just like Shimano, Brose sent two motors into the race. Both the Drive S Alu and its magnesium counterpart offer a superbly-natural ride experience. The stronger Brose Drive S Mag is more compact, lighter and more powerful than the slightly older Drive S Alu. In terms of power, it’s only second to TQ’s drive. Thanks to a perfect balance of natural ride-feeling and full-fledged power delivery, it fully deserves our coveted “Best in Test” badge. 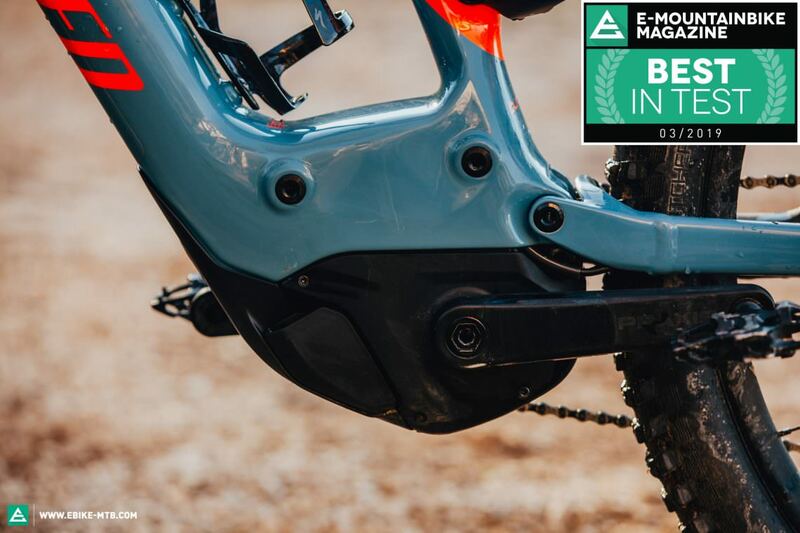 The motor is often considered the central pillar of every eMTB — and the one that defines its character — you can read all about this in the conclusions of our high-end eMTB group test. Yet geometry, suspension and spec of a bike are just as crucial to the bike’s fun-factor. That’s why a motor is only as good as the overall concept of the bike it sits in!